A new chapter has begun in Turkey after President Erdogan won an historic presidential election with more than 52 per cent of the votes. Thanks to an alliance with the Nationalist Movement Party (MHP), Erdogan was able to garner a much higher proportion of the vote than his own AKP party managed in the simultaneous parliamentary elections. He will now be Turkey’s first executive president with extraordinary powers and very few checks or balances until the next election in five years’ time. A series of new laws passed last week began the process of restructuring the entire state, moving on from a prime minister-led parliamentary system, to a presidential system with a weakened parliament. There are a lot of challenges ahead, though. These include a highly volatile economy, deeply polarised society, historically poor relations with Europe and the United States, continued military campaigns in north-west Syria, and some four million Syrian refugees in the country. President Erdogan will not find it easy to deliver on the stability, security and prosperity he promised to his voters. Also in Turkey, but away from the headlines, the Association of Protestant Churches in Turkey (TEK) has chosen a new president and board of directors. Ali Kalkandelen, the pastor of Life Family Church, Istanbul, will lead the association. 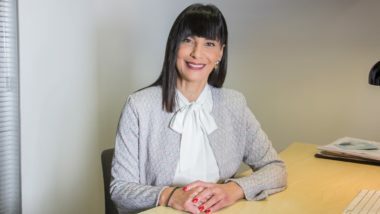 The body, which began informally in the 1980s, was officially established in 2009 and today represents around 150 fellowships. 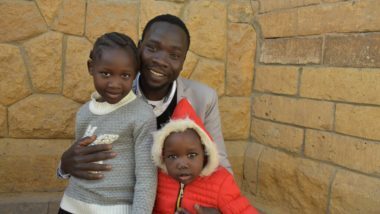 While many are small, the churches are actively involved in church planting and outreach to people of all backgrounds. 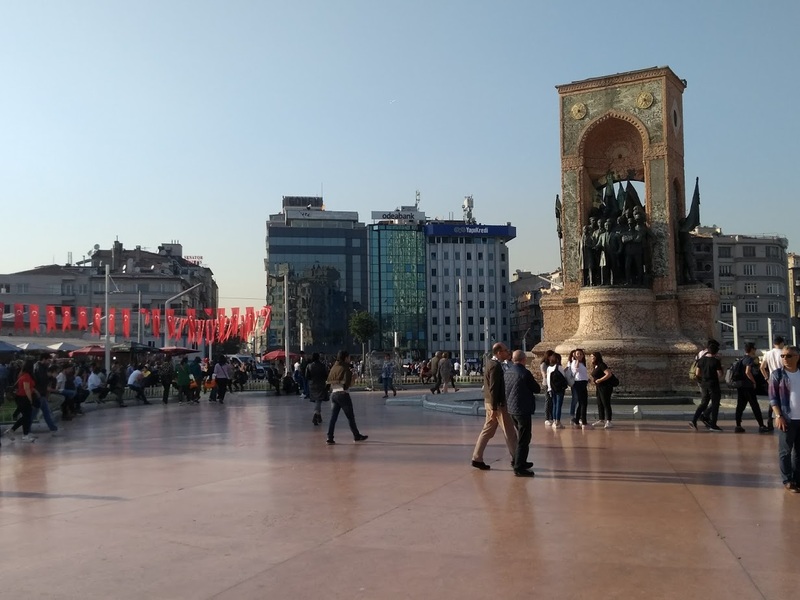 The situation of US-born Izmir church leader Andrew Brunson, however, remains of concern. Hopes that he might be released after a third court hearing (18 July) were dashed once again as the court postponed his case for another three months. Mr Brunson’s imprisonment appears to be a politically motivated without any relation to his own activities. In Iraq, a manual recount of votes is under way in a number of provinces after the violations that marred the 12 May national elections. The formation of a new government was always going to be a long and complex process requiring political alliances. Now the recount is delaying the process further, while incumbent PM, Haider al-Abadi oversees a caretaker government. Iraq is ranked joint tenth in the world for corruption by Transparency International. 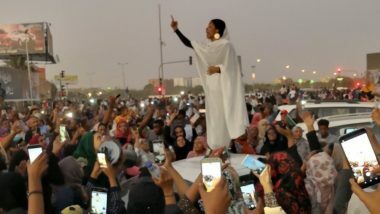 It was anger at corruption that resulted in a low election turnout and has now flared into large protests, including the storming and torching of buildings in several southern cities. In oil-rich Basrah province, protesters blocked the port and roads to oil fields over their frustrations at the lack of jobs and basic services despite the millions of barrels of oil the area exports daily. Tensions over the future of the Iranian nuclear enrichment deal continue. The Trump administration pulled out of the deal brokered by P5+1 countries. Now it is pressurising European states to do the same even though all believe that the deal was working. New financial sanctions are already causing European countries to withdraw their investments and attempts by European countries to obtain waivers from the US seem to be falling on deaf ears. Inside Iran, the developments have strengthened anti-reform and isolationist groups who argue that the US pulling out of a mutually beneficial deal is a sign that the West can never be trusted. In Syria, the Assad offensive against the rebel-held southwest city of Deraa is coming to an end. The country’s seven-year conflict began with peaceful protests in this city. Government forces have now recaptured most of the area and rebel forces are surrendering under a Russian-brokered ceasefire. Almost 250,000 civilians who fled the city as Assad forces entered it currently remain stranded in the desert on the borders with Jordan and Israel. Civil war – now in its fifth year – has also overtaken South Sudan. A dozen or so factions are at war with each other, and various peace deals have brought no end to the prolonged conflict. The UN Security Council has now imposed an arms embargo on the country, with the backing of nine states. It is estimated that half of the population will be in need of food aid this year. On Africa’s northern coast, the EU has officially returned to Libya and re-opened its representation in Tripoli. This follows the end of a crisis over oil field controls between the UN- and EU-backed government and the areas controlled by General Khalifa Haftar, one of the rival leaders in the country. Haftar returned the control of oil ports to the national oil cooperation after seizing them for three weeks and halting all oil production. Key Libyan leaders, including Haftar, have agreed to hold parliamentary elections this December, although presidential elections have been postponed to 2019 amid fears that they could trigger new violence between the country’s east and west. There was good news in neighbouring Tunisia as tourists flocked back to the country in record numbers. In 2015, a terror attack in the beach resort of Sousse killed 39 tourists, forcing international travel companies to pull out of the country. This year, however, many embassies updated their travel advisories and budget travel companies began offering packages again. 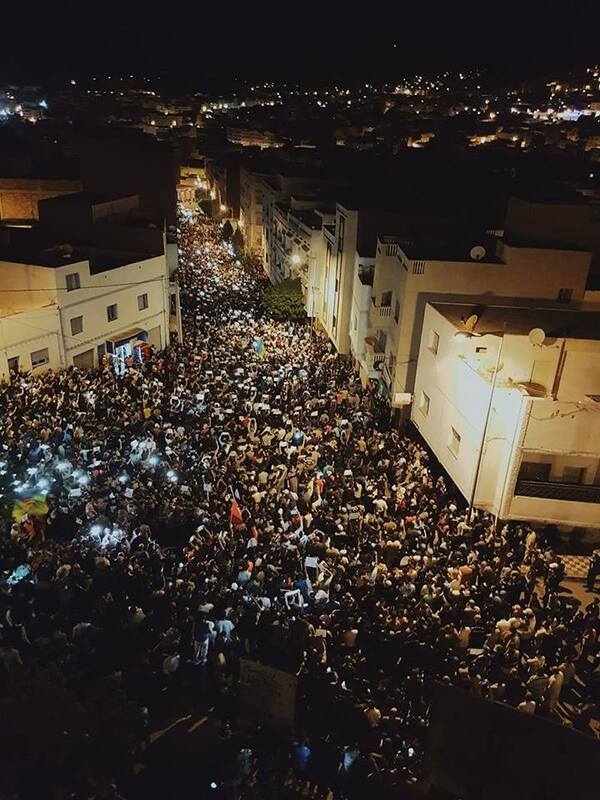 To Libya’s west, however, thousands of protestors took to the streets of the Moroccan capital, Rabat. They were demanding the release of 39 protest leaders from the predominantly Berber-populated Rif region. The activists had been given jail sentences of up to 20 years over demonstrations in 2016 and early 2018. The 2016 rallies had begun after fish merchant Mohcine Fikri was accidentally crushed in a garbage truck while trying to recover the fish that local police seized from him. The subsequent demonstrations demanded dignity and economic development in the Rif region. Calm returned to the streets in Jordan, however, after King Salman of Saudi Arabia stepped in to offer an annual $2.5 billion in aid. New austerity measures brought in after the end of an annual $5 billion package from Saudi Arabia and the Emirates prompted mass demonstrations a month ago and toppled Jordan’s prime minister. The largely desert land of Mauritania, with a population of around four million, is rarely reported on. Human rights groups recently highlighted the hardening of its already harsh apostasy law. 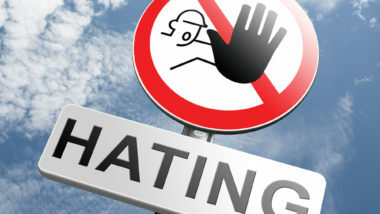 Under previous rules “denigrating the prophet [Muhammad]” or “speaking ill of Islamic values” were offences that would incur the death penalty, but this could be commuted to a prison term if the defendant repented. A new law cancels this provision and enforces the death penalty even if the accused repents. Very few Christians live in the country and evangelism is forbidden. Meanwhile, Pope Francis highlighted his concern about the migration of Christians from the region. Speaking to a summit of Christian leaders in Italy, he warned of “the danger that the presence of our brothers and sisters in the faith” could disappear, “disfiguring the very face of the region”. Amid this challenge, a brighter picture emerged from a survey of 5,000 SAT-7 viewers. 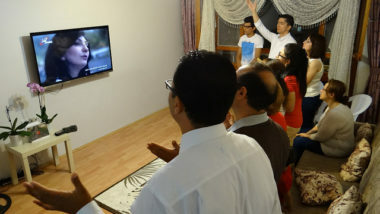 In a region where many Christians are isolated, nearly a third of survey respondents said that SAT-7’s broadcasts helped them feel connected to other believers. Some 35 percent reported that SAT-7 was a source of support for them during times of difficulty. 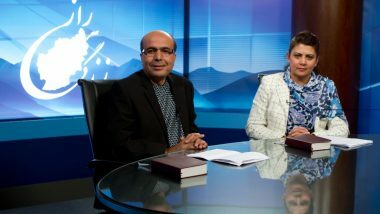 Perhaps the most encouraging news came from viewers of the Persian language channel, SAT-7 PARS. Almost one in four respondents said they had made a decision to follow Jesus after watching the channel.